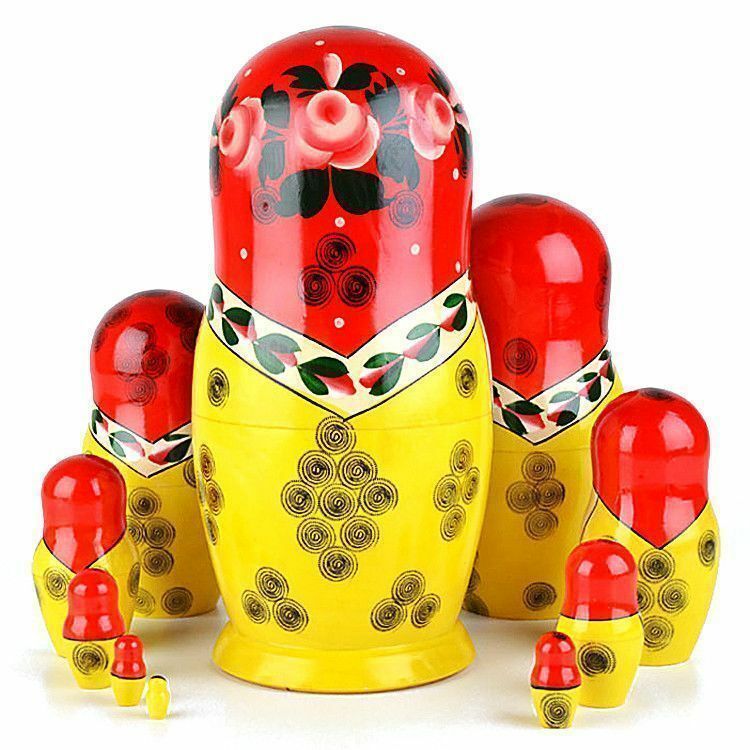 This classic "Red Roses" design matryoshka is ideal for many. 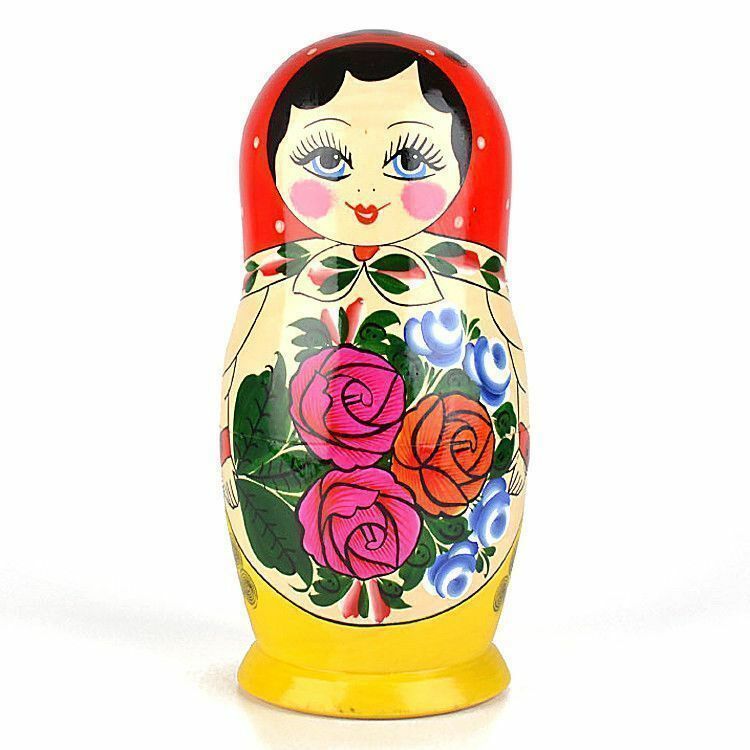 She was completely hand crafted in Russia and has a total of 10 dolls. 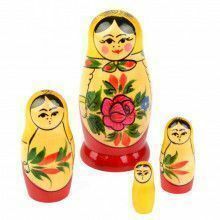 Because each doll is handmade, no two are exactly alike. 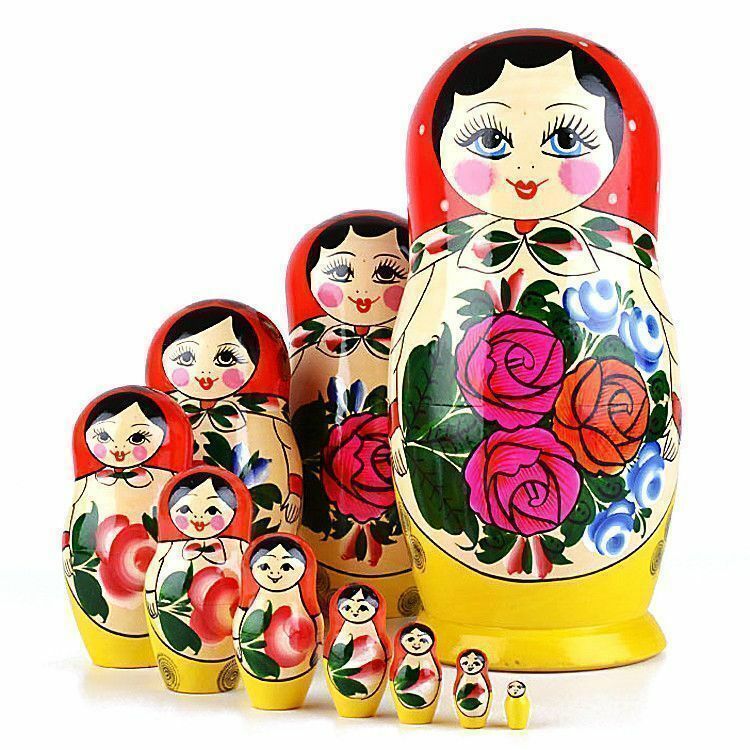 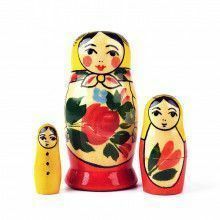 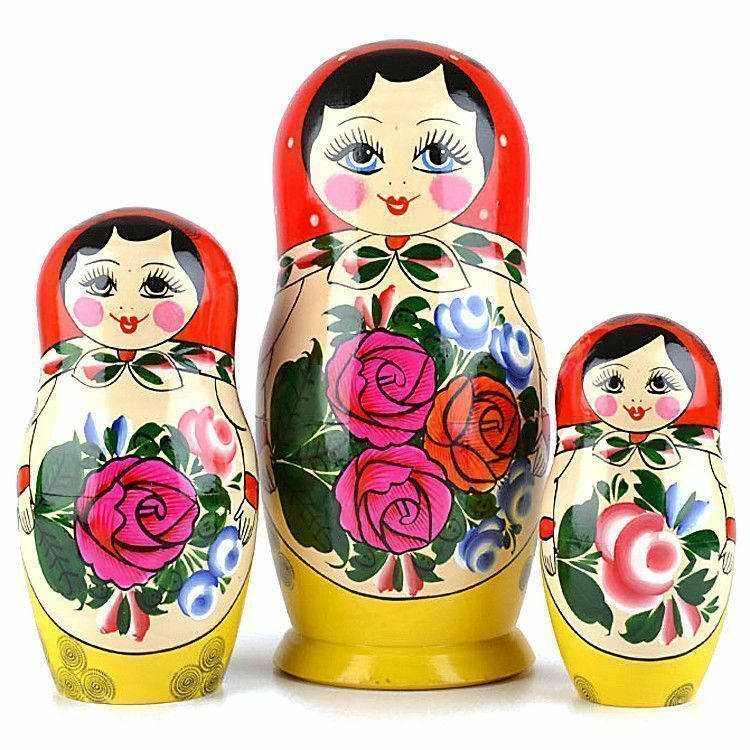 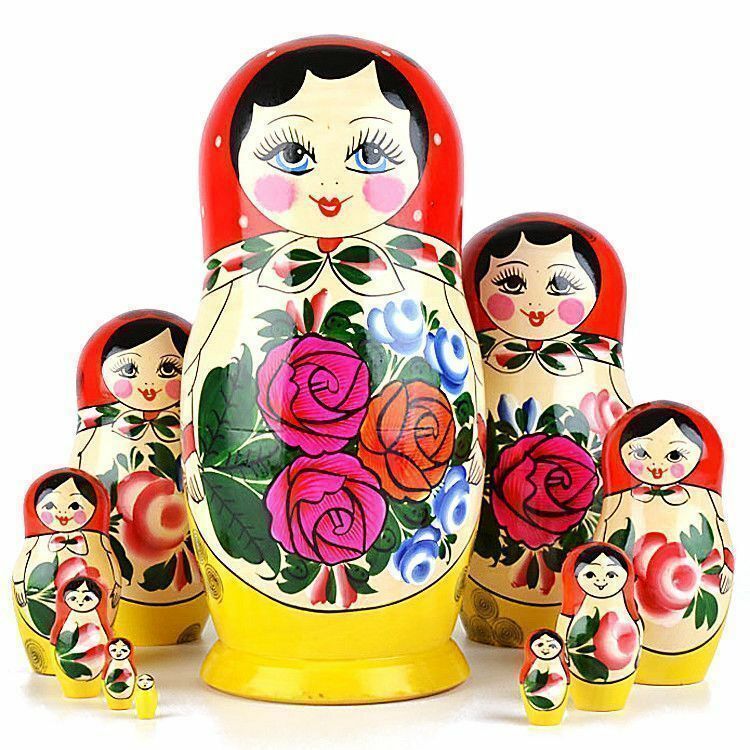 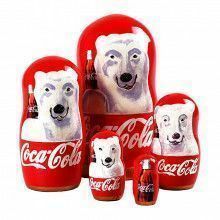 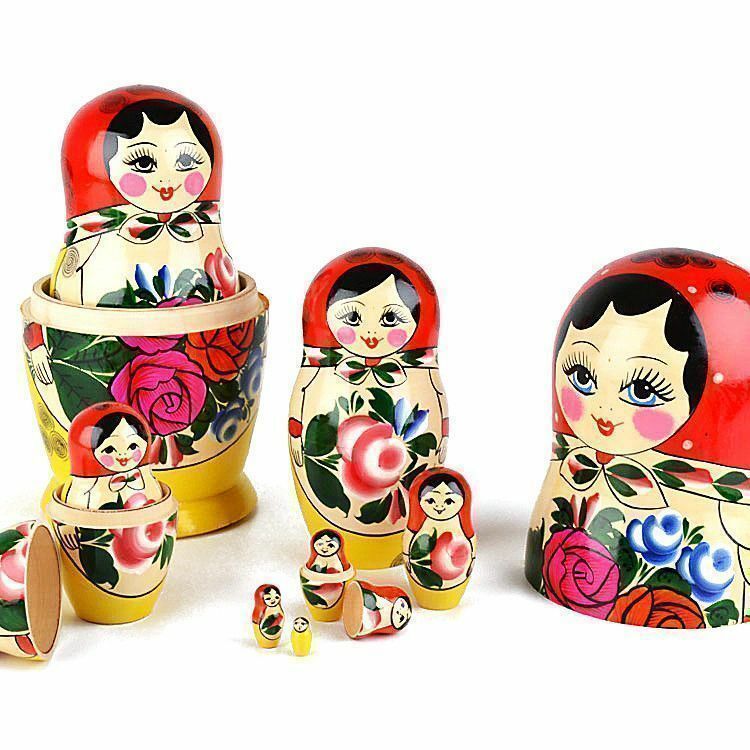 Matyroshka dolls are associated with fertility and motherhood, but they are also toys for some and simply unique home decor art pieces for others. 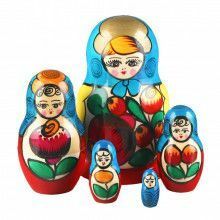 There are many options with wooden stacking dolls!